Pickers of traditional-styled blue grass music are always paying tribute to their musical heroes. Whether it’s “here’s a lick I learned from so and so”, or just that they stay “within the rules”. Matt & George have tried to take this idea just a step further, in order to make this recording special. They have chosen songs learned from their (mostly early, local) blue grass heroes. It is, after all, the band’s 10th anniversary. With all original members, at that! 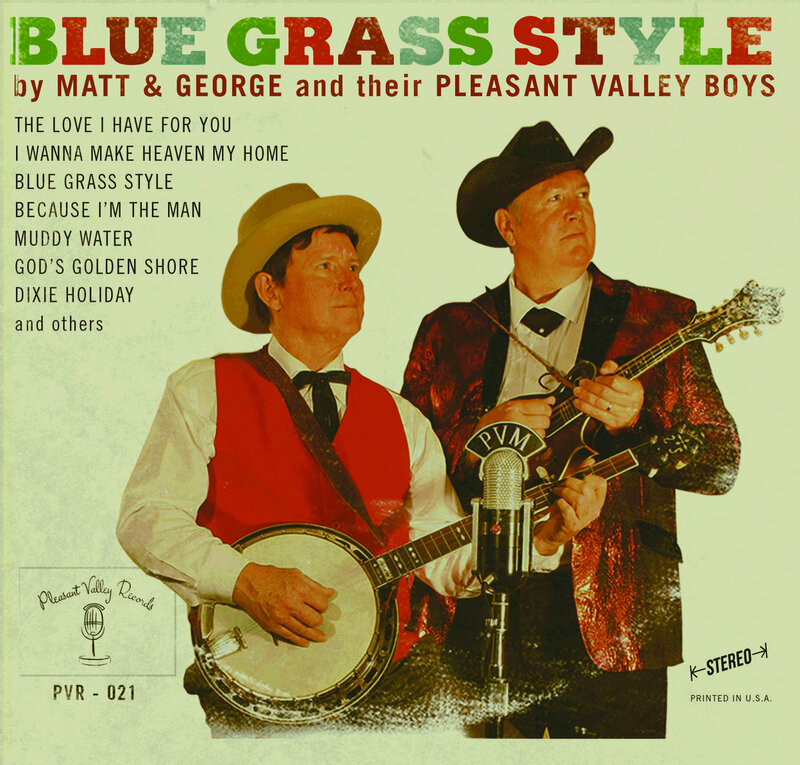 Matt & George and Their Pleasant Valley Boys have been performing traditional bluegrass the old fashioned way, into a single microphone since 2006. They entertain for weddings, corporate events and parties all over Northern California, including regular appearances at the Dixon Lambtown Festival and the big Father's Day Festival in Grass Valley, as well as on ABC Television. They have also pleased crowds at the IBMA ‘Fan Fest’ in Kentucky, on Louisiana’s Abita Opry, at the International Bluegrass Music Museum’s River of Music Party in Kentucky, and even taken bluegrass abroad to Vietnam and France. The Pleasant Valley Boys provide fun for all, with hot instrumental licks and sweet vocal harmonies, backed by a tight rhythm section, all packed into a fast paced, entertaining music show like you’ve never seen before. Matt & George and Their Pleasant Valley Boys is made up of all original members Matt Dudman, mandolin; Fiddlin’ Jim Allison, fiddle; George Goodell, banjo; Mark “Cousin Rainwater” Eagleton, string bass; and Miss Jenny Lynn, guitar. All members sing. “Our guests really enjoyed your music and it really added to the event. "[George Goodell’s] banjo playing is Scruggs and Stanley correct, & not a bit bashful."